When Luiz Inácio Lula da Silva first assumed Brazil’s presidency in 2003, Brazilian diplomacy returned to the pattern observed between 1930 and 1980, which emphasized social development and prioritized relations with non-traditional partners, such as the developing countries from the global south. This decision was opposite to what was observed during Fernando Henrique Cardoso’s presidency. Cardoso redefined the priorities of the country by establishing economic relationships and proposing economic integration through foreign policy practices that would align the country with developed nations of the Northern Hemisphere. As a result, the emphasis was on economic relations, guided by a neoliberal agenda. Several other Latin American countries, such as Argentina and Venezuela, also pursued this agenda. However, just as in Brazil, “free market” economics only served to deepen the historical socioeconomic gap in those societies and increase their dependence on international lenders, such as the IMF, whose financial aid is linked to structural adjustment policies that disregard the recipient’s national interests. Today, the same regressive policies have emerged once again, under the interim administration of Michel Temer. Having assumed office after Rousseff’s suspension pending the outcome of a flawed impeachment process, Temer’s foreign policy goals have been viewed as a threat to the contributions made by Presidents Lula and Rousseff to the Latin American process of integration and to international multilateral groups. Instead of strenghtening regional institutions, Temer’s policy promotes free trade, seeks to privatize state owned companies, and prioritizes economic relations with the United States and European nations. These policies are also aimed at distracting from growing international agreement that what is taking place in Brazil is, in fact, a political coup against President Dilma Rousseff. Thus, the neoliberal agenda that was pushed by Cardoso is now being repeated by Temer. This foreshadows damage to the social achievements made in Brazil over the past decade and to Brazil’s role in promoting Latin American independence and integration. One of the main economic goals under Lula’s government was to broaden and sustain Brazil’s role in the region. Brazil’s relationships with its neighboring countries were never a priority, but, for the first time in its history, the country started to act as a partner in the development of a South American identity. This included the strengthening of regional partnerships, consolidation of collective spaces for political discussion, and cooperation in building a shared agenda for the region. Both the Union of South American Nations (UNASUR) and the South American Defense Council (CDS), organizations whose creations were strongly supported by Brazil, aim to create an integration process in Latin America that goes beyond economic cooperation. UNASUR was formally created in 2008 and is composed of all 12 South American countries, with Mexico and Panama acting as observers. It is one of the most important forums for political discussion in Latin America today. Although the creation of UNASUR is the result of the concerted efforts of many countries, Brazil plays an important role in consolidating the actual effectiveness of the organization. Strengthening and deepening the Southern Common Market (MERCOSUR) beyond its original economic focus was also one of President Lula’s economic priorities as well as the creation of MERCOSUR Social, a program which seeks to promote integral human development. The social dimension of regional integration is configured as an inclusive space which strengthens democracy and the rights of citizens. While the Worker’s Party (PT) and Brazilian Democratic Movement (PMDB) have been political allies during the administrations of President Rousseff and President Lula (in order to reach a fair consensus on legislation in the senate), there is little doubt that the coup that removed President Rousseff from power is part of a broader strategy of the PMDB. This strategy aims to regain political dominance, and to move Brazil from being a cooperative economic partner in regional integration to returning to the previous close alignment with the interests of European and American capital. As Michel Temer’s plans as President continue to unfold, it becomes increasingly clear that his rise to power through illegitimate and undemocratic means will change Brazil’s economic policies for the country and the southern region—putting at risk the stable ties with the country that had been developed during the Lula and Rousseff eras. An impact of the impeachment process was the immediate labeling of the process as a coup and a breach of democracy by important partners to Brazil, such as Venezuela, Bolivia, and Uruguay. Countries like Ecuador and El Salvador even recalled their ambassadors. Only Argentina, now under a conservative government, has voiced approval of Brazil’s “developing institutional process”. In response to the countries that questioned the new administration’s legitimacy, the Minister of Foreign Affairs Jose Serra strongly criticized Venezuela, Cuba, Bolivia, and the Organization of American States (OAS), and made it clear that he was committed to changing Brazil’s position in the international arena by reviewing the important focal points of Brazil’s foreign policy and focusing on improving relations between the United States and the European Union while shifting away from cooperating with developing nations’ growing economies. On May 23, 2016, the Brazilian Foreign Minister met with both Argentinian President Mauricio Macri and Argentinian Foreign Minister Susanna Malcorra to discuss the goals of Mercosur. Serra argued that while Mercosur had not lived up to its original expectations, Brazil and its other four members need to rebound from their economic recession by not creating trade barriers to protect their own economies during times of crisis, but to create “a boundless market.” Serra also proposes to continue working with Argentina due to their similar “references to the re-organization of politics and the economy.” While this may seem like a first step towards gaining attention from developed nations in the Northern Hemisphere, it hinders the diplomatic efforts made by Lula and Rousseff in the region. 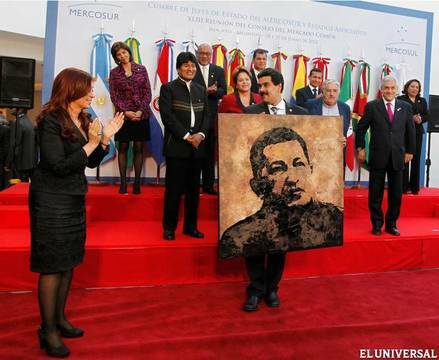 Another issue that has been constantly addressed by Serra is Venezuela’s status as a member of MERCOSUR. Placing sanctions on Venezuela, a country which has also played a key role in enhancing the regional integration of South America, would represent a huge setback from recent achievements in integration. Additionally, Brazil is trying to prevent Venezuela from assuming the pro-tempore presidency of MERCOSUR. Venezuela, with the largest proven oil reserves in the world, entered Mercosur as a strategic move to guarantee energy security for the common market, as well as to open a door to the Caribbean market, where Venezuela has developed mutually beneficial trade relationships. Serra’s politicized approach towards Venezuela and recent attempts by like-minded conservative governments such as that of Paraguay to isolate Venezuela, jeopardizes some of the notable strengths of Mercosur and threatens to roll back integration efforts built over more than two decades. Brazil’s foreign relations and diplomacy under the administrations of Lula da Silva and Rousseff was successful at promoting the interests of Brazil while at the same time, working in conjunction with other Latin American nations to achieve broader South American objectives. Lula promoted Brazilian foreign relations by prioritizing regional integration with Brazil’s neighbors while engaging in diplomatic talks with countries in the Middle East and Africa. President Dilma Rousseff continued, to an extent, to sustain ties with the Latin American countries crucial to the development of the region along with growing markets. However, with the suspension of Rousseff from office, Brazil’s foreign, and especially regional, policies may gradually change. The new Brazilian policies proposed by Foreign Relations Minister José Serra raise many concerns as they could jeopardize the achievements in regional integration made by Lula and Rousseff. “Repositório Digital.” A Nova Política Externa Independente: O Governo Lula E a Inserção Externa Brasileira No Século 21. Accessed July 06, 2016. http://www.lume.ufrgs.br/handle/10183/21573. “Structural Adjustment-a Major Cause of Poverty.” – Global Issues. Accessed July 06, 2016. http://www.globalissues.org/article/3/structural-adjustment-a-major-cause-of-poverty. “Biblioteca Digital Da UNICAMP.” O Papel Do Governo Lula Na Evolução Da Identidade Sul-americana Da Politica Externa Brasileira. Accessed July 06, 2016. http://www.bibliotecadigital.unicamp.br/document/?code=000966594. “Brasil: Desafios Para O Fortalecimento Da Unasul, Por Wilson Tadashi Muraki Junior.” Revista Mundorama. 2009. Accessed July 06, 2016. http://www.mundorama.net/2009/09/30/brasil-desafios-para-o-fortalecimento-da-unasul-por-wilson-tadashi-muraki-junior/. “Programa Mercosul Social E Participativo.” Secretaria De Governo. Accessed June 14, 2016. http://www.secretariadegoverno.gov.br/iniciativas/internacional/mercosul-social-e-participativo/conselho-brasileiro-do-mercosul-social-e-participativo. “Cúpulas Regionais Da América Do Sul: ASA E ASPA.” |. 2010. Accessed June 14, 2016. https://fichasmarra.wordpress.com/2010/12/21/cupulas-regionais-da-america-do-sul-asa-e-aspa/. “HOME – COMMUNITY OF LATIN AMERICAN & CARIBBEAN STATES.” COMMUNITY OF LATIN AMERICAN CARIBBEAN STATES RSS2. Accessed June 14, 2016. http://www.celacinternational.org/. “Papel Do Brasil.” Portal Vermelho. Accessed July 08, 2016. http://vermelho.org.br/noticia/257795-1. 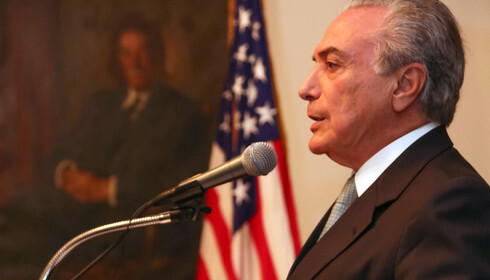 http://www.globalo.com/ten-days-office-thousand-problems-ahead/ and “Serra Determina a Diplomatas Que Combatam “ativamente” Questionamentos Ao Impeachment No Exterior.” Serra Determina a Diplomatas Que Combatam Ativamente Questionamentos Ao Impeachment No Exterior | Manchetes | Reuters. 2016. Accessed July 14, 2016. http://br.reuters.com/article/topNews/idBRKCN0YG1AV. For a deeper analisys in the subject, please refer to: “The Venezuelan Problem: Hyper-Politicization and Fragmentation in Mercosur.” COHA. 2016. Acessed July 13, 2016. http://www.coha.org/the-venezuela-problem-hyper-politicization-and-fragmentation-in-mercosur/ and “Brasil Analisa Forma De Impedir Que Venezuela Assuma Presidência Do Mercosul, Diz Fonte – Reuters – UOL Notícias,” UOL Notícias, accessed July 14, 2016, http://noticias.uol.com.br/ultimas-noticias/reuters/2016/06/02/brasil-analisa-forma-de-impedir-que-venezuela-assuma-presidencia-do-mercosul-diz-fonte.htm. Climate Migration in Latin America: A Future ‘Flood of Refugees’ to the North?